The Witcher 3: Wild Hunt is now in the hands of gamers worldwide who are currently exploring the lush lands of Novigrad in an attempt to prevent the impending destruction of the world. Like most big video game releases, The Witcher 3: Wild Hunt launched in a variety of different flavours. There is the standard game or digital download with included expansion pass and, for those who can find it and who have the money to burn, a magnificent collector’s edition. Over a year ago, I had the foresight to order “one of only five units” of the collector’s edition for Xbox One through Kalahari, and I am so grateful that I did because it is a magnificent bundle. The Witcher 3: Wild Hunt collector’s edition is large, but it is not as big as the mammoth sized Titanfall collector’s edition and it is only slightly smaller than the Gears of War 3 epic edition. The size aside, it is definitely a lot heavier than it looks, and for good reason. 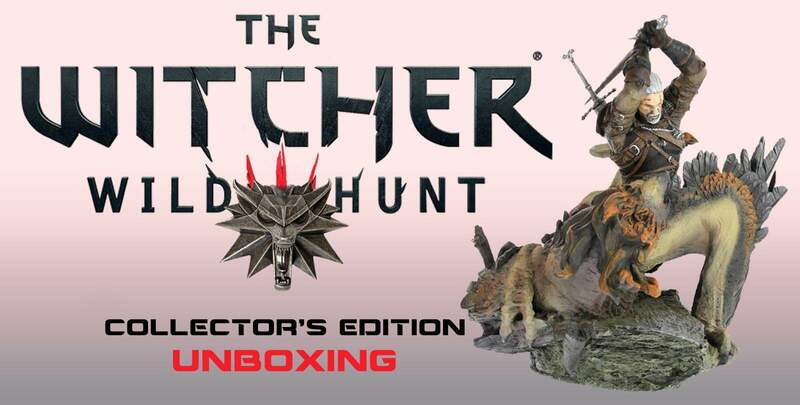 The Witcher 3: Wild Hunt collector’s edition for Xbox One includes a wonderful art book encased in a superb collectible case, gorgeous canvas map of the game’s world with gold ink, exquisite replica Witcher medallion, delightful copy of Gwent (the card game from the Witcher universe – exclusive to the Xbox One collector’s edition), SteelBook case for the game disc with memorable artwork of Gerald and Ciri on the front and back, bonus companion case with the soundtrack, stickers and another map, and the coup de gras, a phenomenal polystone statue of Geralt battling a griffin. It is a brilliant collectible set and, in my opinion, is worth every penny. 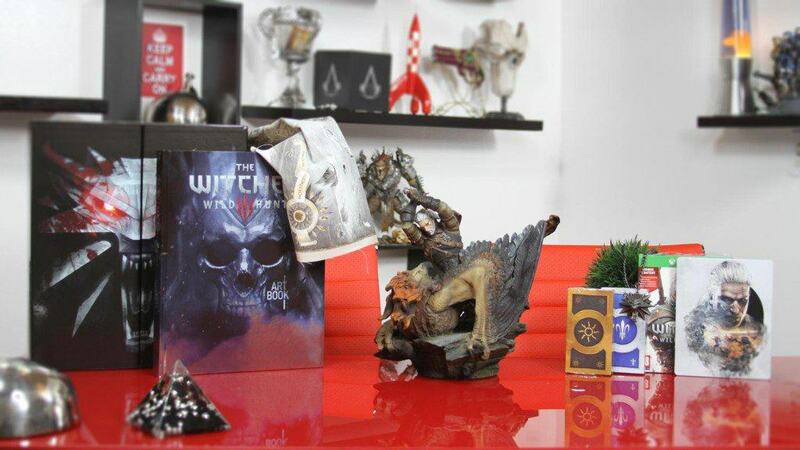 In fact, the video below of myself and Diona unboxing The Witcher 3: Wild Hunt Collector’s Edition proves that this edition of the game is the one to own (if you can afford it). If you missed the initial pre-order run, fear not, because it seems that Takealot still has some stock left of The Witcher 3: Wild Hunt collector’s edition for Xbox One and PlayStation 4. If you are interested, now is the time to buy one or you can enter our competition.